These sessions are designed in an alternating set or circuit training format using a wide variety of exercises using body weight, dumbbells, resistance bands, suspension training systems, kettle bells, and med balls. Our STRENGTH sessions are designed to provide a strength training program in an intense interval based style. Our STRENGTH or resistance training sessions should be your first choice. A typical STRENGTH session will burn up to 700 calories in a matter of 40 minutes. This caloric burn is coupled with the rise in EPOC, i.e. Excess Post-Exercise Oxygen Consumption. EPOC is a measure of energy used by your body to bring it from a work out state to a normal state. 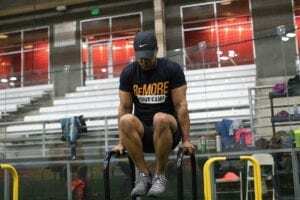 Typically after a metabolic resistance training workout your body will take up to 36 hours to return to a normal state and in the process burns a lot of calories. These circuits use a number of different energy system exercises performed back to back with little rest for a set time period. A circuit commonly uses anywhere from 5-10 exercises…….This class will improve your conditioning as well as burn fat and improve power and stamina. The unique protocol used in Tabata Bootcamp is the 20-10 microburst intervals. An interval consists of performing specifically chosen exercises at an ultra high intensity for 20 seconds, followed by 10 seconds of rest. The beauty behind these short microbursts is that 20 seconds at high intensity is doable and the 10 second rest allows for brief recovery before moving on to the next exercise interval. These 20-10 microburst intervals are stacked in the 30 minute group workouts in specific sequences of different exercise movements that target every part of your body. This class will be offered 1-4 times per month in place of the Saturday Warrior Conditioning.